The Innuendo Squad is part of the We Saw the Stars Collection, debuting at The Indie Shop Atlanta and then online as a preorder starting 3/27 at 3:30 pm est to 4/3 at 11:59 pm est. 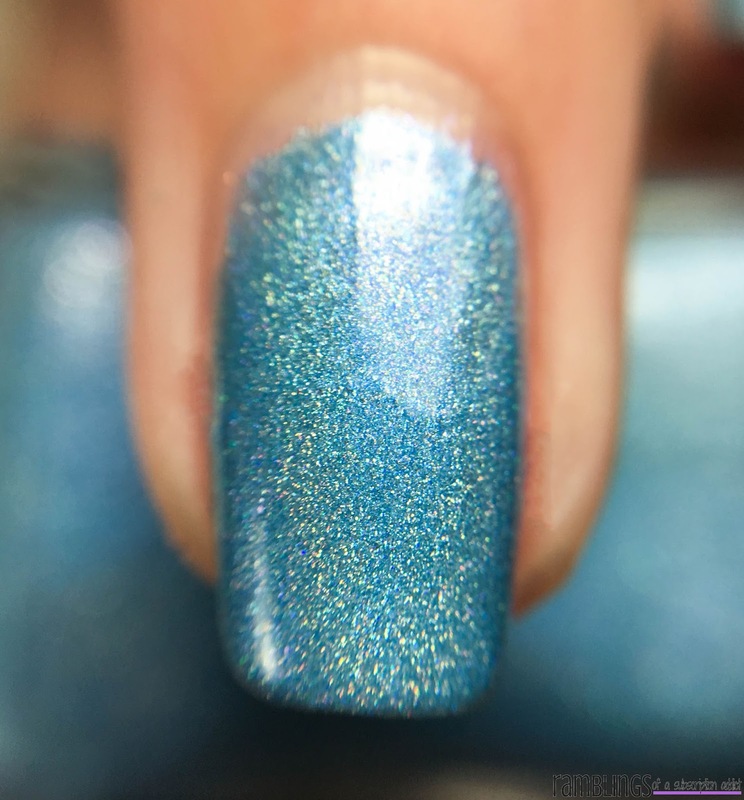 This is one polish from the collection with my full review of some of the other polishes here! The Innuendo Squad is a slate blue linear holographic polish. Glossy nail macro (leaning slightly yellow/dark). 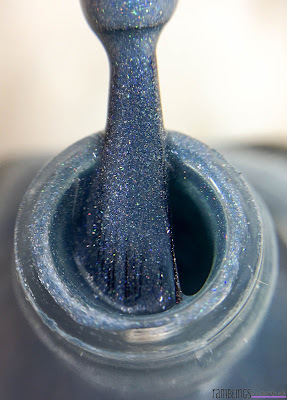 I so very much love this shade. It's delicate and easy for anyone to wear. Holo, holo, holo, holo. 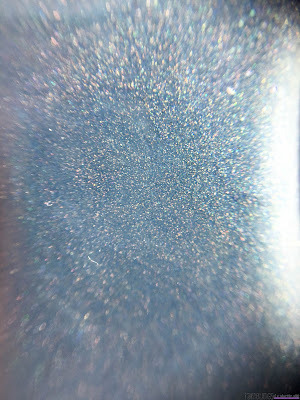 This one is a subtle holo unless you're looking at it directly and then bam! Matte you have just a simple silvery-blue shiny polish! Coats for Opacity: Two coats. 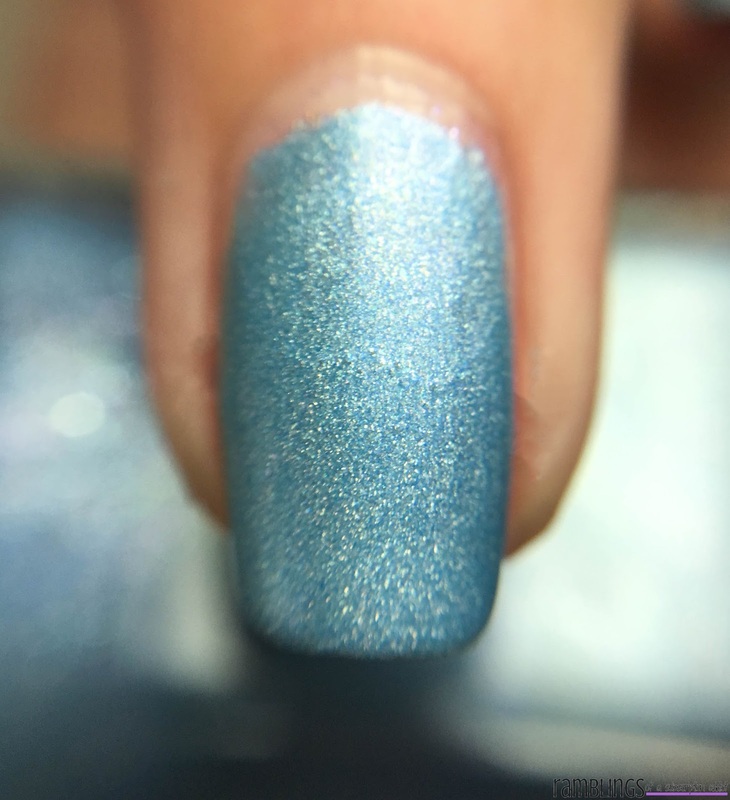 As always, let me know what you thought of this polish in the comments!